Implant dentistry from our Allentown dental office provides comfortable chewing and improves overall oral health for patients with one or more missing teeth. Your dental implant will successfully restore the look of your smile and is stable enough to allow you to enjoy normal eating habits. In addition, dental implants also improve the overall stability of the facial muscles. These muscles control the chewing motion, but they also provide structural support to the anterior bones of the skull. When a tooth is weak or missing, the balance of support can become destabilized, which can cause other problems. 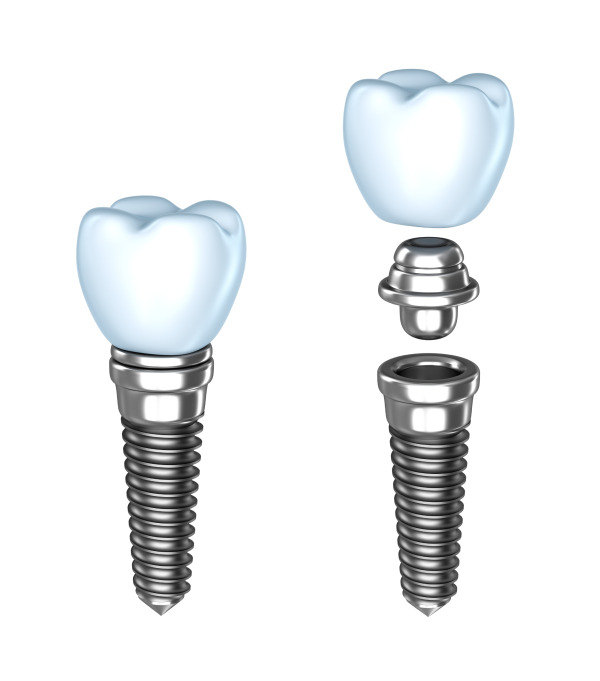 Implant posts, or the artificial tooth root of your replacement, are made from titanium, which naturally integrates with the bone in your jaw and eliminates the risk of diminished bone density. Because of this integration with the natural material in your body, implants provide impressive longevity and high rate of customer satisfaction. 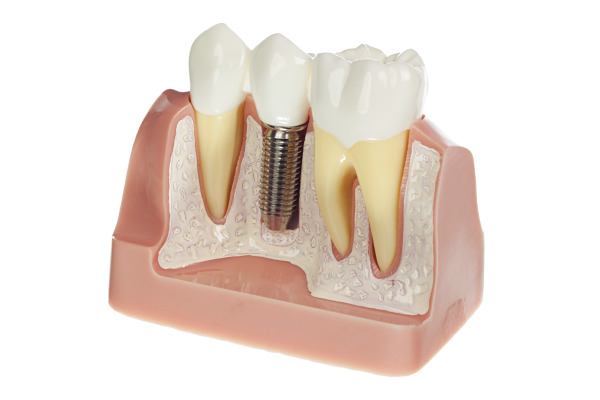 There is an extremely high rate of success for patients who receive dental implants. When the implants are properly maintained, they will often last for the person’s entire life. As a testament for a dental implants ability to function naturally with the rest of your teeth, it is not uncommon for people to forget about the implants after a short period of time; they just become part of everyday life. Anyone with outstanding oral health issues, such as periodontal disease or diminished jaw bone density should have these problems properly treated from our team of dental professionals before receiving implant treatment. It’s important to select a reputable implant dentist in Allentown for the best results. We complete wax-up models before treatment to allow patients to easily visualize the final results before deciding whether to go ahead with the recommended procedure. If you have one or more missing teeth, dental implants can provide years of lasting comfort and convenience. Implant dentistry is most successful when patients understand the options available. Dr. Kumar listens carefully to the concerns of each patient. By engaging in meaningful dialogue, we can find the path forward together. Our patients are confident with the outcome of the selected procedures when they understand each of the available options. By using professional implant dentistry services, patients have a reliable and safe option for replacing missing or damaged teeth. There is no need to feel restrained by the few traditional teeth replacement options, such as dentures and fixed bridges. With treatment from our implant dentistry office, you can even get back to work on the same day in many cases. Contact our Allentown dental implant experts today for additional information on how you can permanently restore missing teeth with dental implant treatment.